You are here: Home / Blogging / How to Start a Blog. Simple Step-by-Step Guide. I’ve been at this blogging game for 7 years now, I absolutely love blogging! But when I started my blog all those years ago, I wasn’t making any money it. I mean, I knew that it was possible to earn an income online because some of my favorite bloggers were doing just that (Money Saving Mom and A Bowl Full of Lemons). But the reality is that creating a successful blog is a lot of work and it’s not nearly as easy as I first thought. 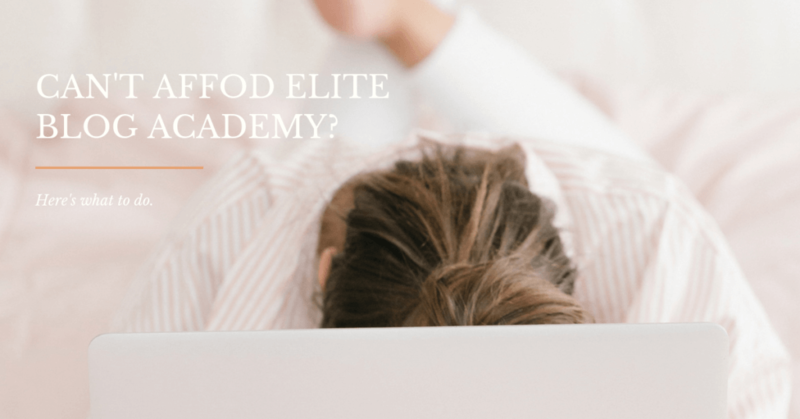 In fact, for me, it took me taking Elite Blog Academy to start earning an income from my blog. Hold up…I’m getting a little ahead of myself. Earning an income from a blog is fantastic, but that’s a conversation for another day. Today we’re going to talk about setting up a blog because if you’ve never created a blog, then this is new territory. Honestly, I think this might be the most challenging part – picking a name. 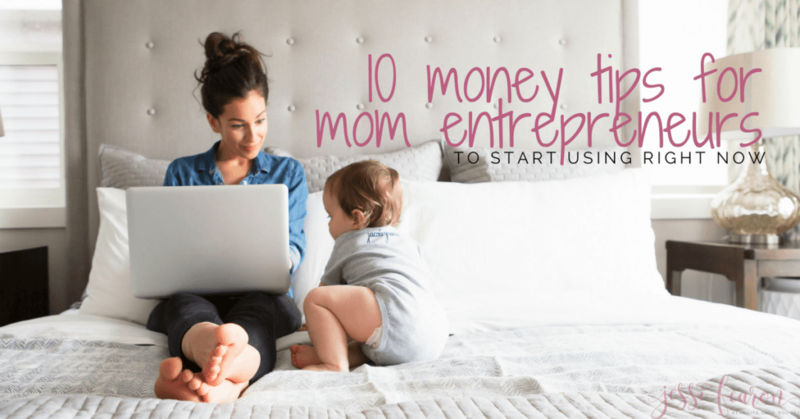 When I started my blog, I was The Budget Mama and I truly loved that blog name, but after a few years, and failing to purchase the domain names that were similar to TBM, I ended up being crowded out by all the other “budgeting” blogs out there. All that to say, don’t worry if you pick a name you end up not loving – you can always rebrand later as I did. The key here is to brainstorm all possible names that your blog could be. In fact, I recommend you do this step with step number two below. This will help you determine a blog name better. As far as registering a domain name, check here to see if your particular domain name is available. If it is, then purchase your domain. I recommend Name Cheap for cheap domains, but you can really go anywhere for a domain name. One bit of warning though, you want to make sure that where you purchase your domain name is different than where you set up your hosting. This will add an extra layer of protection against hackers. A “niche” is your topic of choice for your blog. Think of your niche as a target board – the overall target is your overall niche and the bullseye is your target-target niche. So, for example, my blog’s overall niche is personal finance, but my bullseye is debt-free living. So everything that I talk about in the realm of personal finance, comes back to the bullseye of debt-free living. Do a big brain dump of all the things you love to chat about. Think about the things that your friends and family come to you for help with – that’s a good indicator of a topic that you’re passionate about. 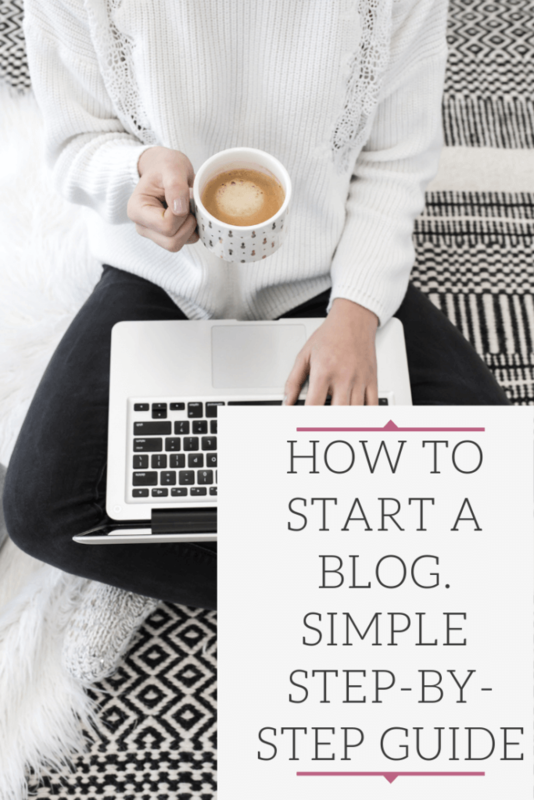 The thing this, if you’re going to create a money-making blog, you’re going to need to be able to write, and write, and write some more about your topic. If you can’t do that, then it is the wrong topic to chose. I know that some folks love Squarespace, but I have no experience with them to offer any advice. The platform I recommend is WordPress.org (not the .com version). My tech guy actually has a fantastic free course on setting up WordPress.org so instead of trying to re-create what he has already created (and let’s be honest, he’s the better person to be talking about this), head here to sign up for his free course. Okay, so I know that every six-figure blogger recommends using Bluehost, but I don’t. I don’t because honestly, I’ve never heard anything good about them other than their generous affiliate commissions so I can’t in full conscience recommend them. However, I have used Black Chicken and absolutely loved them. I only switched hosting providers once my traffic got too much for Black Chicken to handle. BC’s customer service is fantastic and they are always more than willing to help you. So when it comes to setting up your hosting, you’ll want to chat with them to have them help you get it set up (every hosting company is a bit different). If the hosting company you chose does not help you with this step, then you’re using the wrong company and I’d recommend switching. Along with picking out your framework (Genesis is the most common), you’ll need to pick out your theme. You can totally use a free theme until you have the money to purchase a premade one. Keep in mind, that you don’t need to have your site professionally designed in order to generate an income from it. I started earning a part-time income from my blog using only a premade theme from Restored 316. Which, Restored 316, actually has a quiz you can take to see which theme will work best for you – head here to take the quiz. Just pick a theme that is easy on the eyes and easy to navigate. I highly recommend asking someone else for their option on your theme before you decide to use it. What might look really awesome to you might hurt others eyes. Before you go “live” with your blog, I recommend you write at least ten blog posts (you can do this in the Editor on WordPress or in a Word document). The key here is making sure that you have enough to say about your topic that you can at least write ten 600+ word count posts. If not, then you need to choose a different topic to write about. Don’t worry too much at this stage about proper editing, just focus on writing and honing in your “voice” – this is how you’ll build authority in your niche. Once you’ve written your ten, edit them, format them, and schedule them to post in WordPress. Then, start writing again. Keep repeating this process over and over. I highly recommend this book for honing your “voice”. The book is geared towards speakers, but I found it super beneficial for learning how to “talk” to my audience. If making money from your blog is your goal, you’ll need to prioritize what is and what is not important for you at this stage in your blogging career. 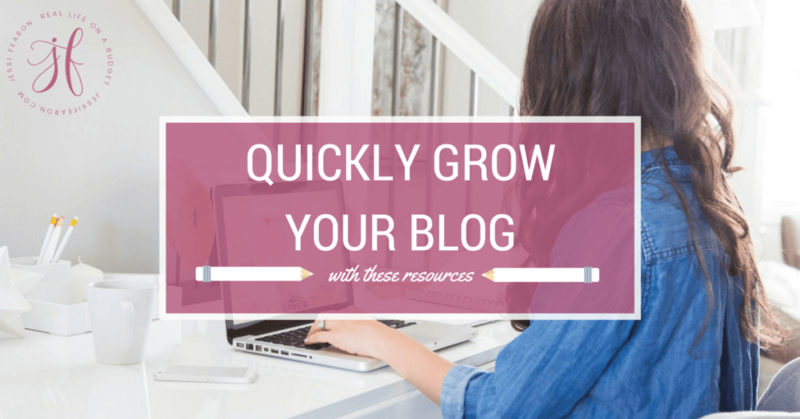 I know it can feel overwhelming when you’re just starting out because you don’t know a whole lot about blogging, so here are a few resources that can help get you moving in the right direction. BUT, make sure you make a list of what you need to learn and then pick and chose the resources you download or pay for accordingly. You’ll overwhelm yourself if you attempt to do everything at once. As soon as you’re done writing your blog posts and you feel confident with your “voice”, then it’s time to start building your email list. When Pinterest changed its algorithm in 2016, I saw my pageviews rapidly fall and if it had not been for my email list, I wouldn’t be earning any money at all from this blog (or at least not enough to claim on taxes). In fact, most successful bloggers will tell you the same thing – the money is in the email list. Now, I prefer Convertkit for my email list, but I know that it’s not the cheapest option out there, but it’s for segmenting your list and being able to “tag” subscribers with certain interests to be able to communicate more effectively with them. It doesn’t really matter who you start with so long as you make sure you’re allowed to use affiliate links in your emails. If that’s a no, then I would suggest finding a provider that allows you to use them. ****Converkit currently has a free trial offer going on. Not sure how long this will last, but head here to find out the details! Once you set up your email list, it’s time to set up your optin – a free download or email series that folks can opt-in to receive. Don’t over think this – go back over those blog posts you wrote and ask what resource could you provide that would make this content even easier for your audience to “digest”. Then create! Seriously, it could be a checklist, an ebook, or just a series of educational emails. Don’t forget that when you do start registering for affiliates and other money making opportunities as you grow your blog, you need to be tracking your income and expenses. This is the spreadsheet I used for years until I had to switch over to QuickBooks when I became an S-Corp.
Also, don’t forget to keep copies of all your expenses so you can deduct them from your taxes. I’m a huge fan of Mastermind Groups and I’ve even spoken at a few conferences about the power of an incredible mastermind group because I love them so much. The best thing about mastermind groups is that they are typically free. There are some paid groups, but you can start off with a free one and reap some serious rewards. The advantages with a mastermind group are that you get the knowledge of the group – so if someone in the group is killer at working Pinterest, you get to pick their brain without forking over any money. If you’re rocking the email marketing game, you get to share your expertise with the group and the group as a whole is better for it. I have a whole blog post dedicated to talking about mastermind groups and a free guide to download to help you create or join a mastermind group. Seriously, you’ll be so happy that you took this leap of faith! Blogging is an ever-changing industry. What worked last year may not work this year so keep that in mind as you work to grow and build up your blogging business. This thing takes a while, so keep going. If you’re a seasoned blogger, what advice would you add below for a blogger just starting out? These are all excellent tips for a blogger starting out. The only advice I would give is be patient and work hard, it will pay off. Thanks for sharing at Merry Monday.